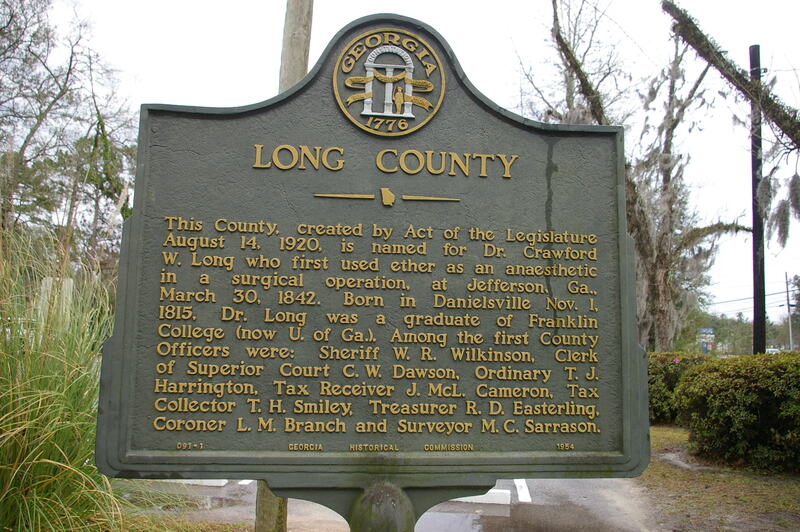 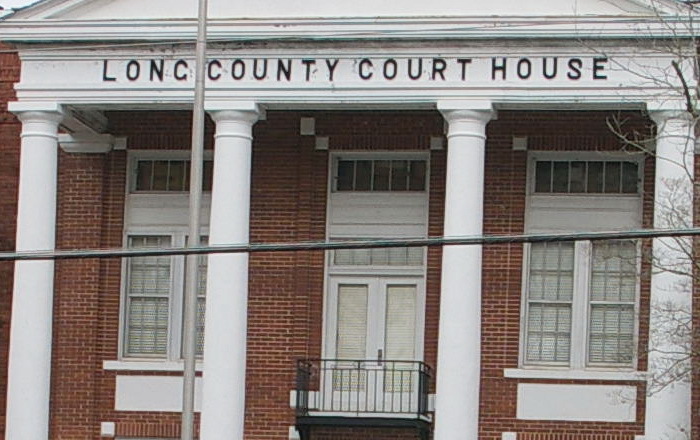 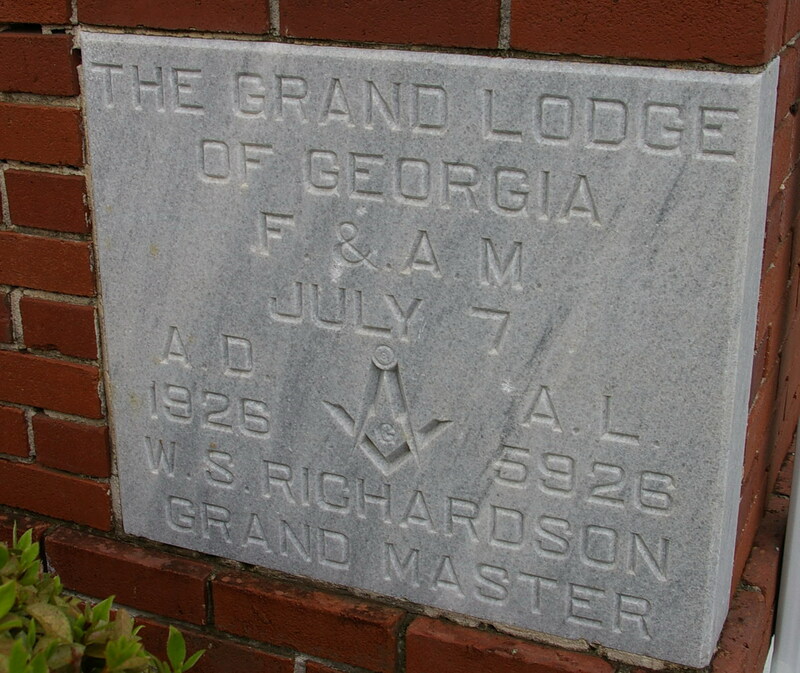 Long County is named for Crawford Williamson Long, who was a Georgia native the first physician know to have performed a surgical operation in general anesthesia induced by ether. 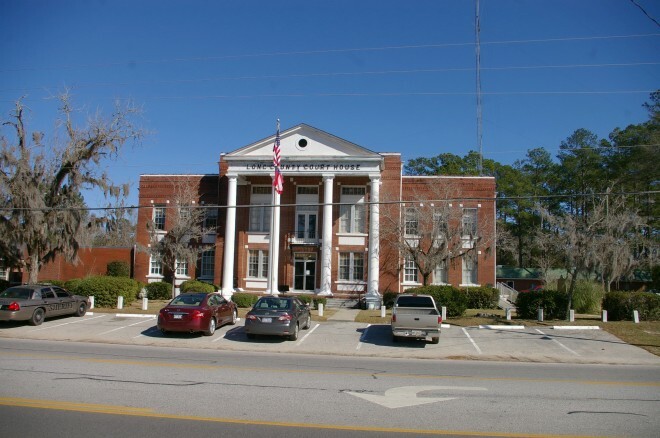 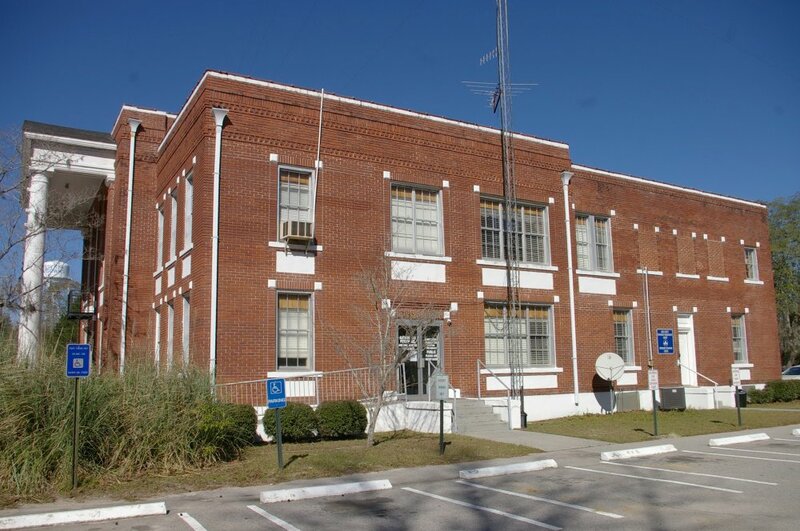 Description: The building faces southwest and is a two story red colored brick, stone and concrete structure. 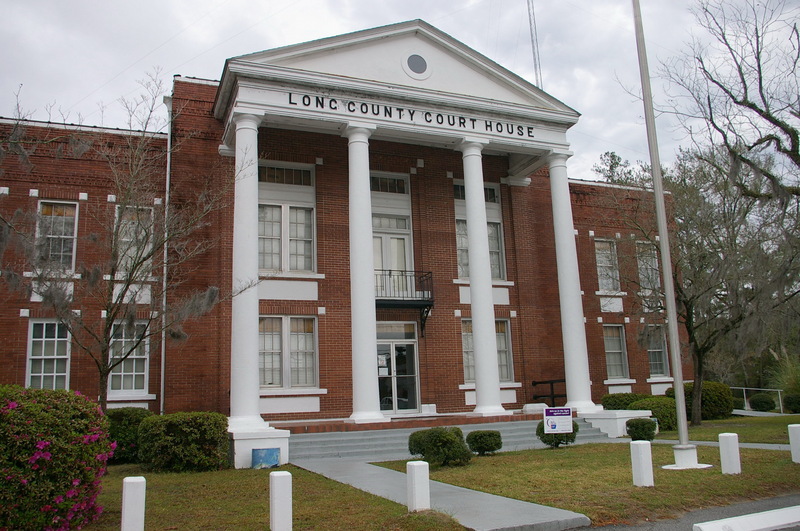 The building is located on landscaped grounds and has a large portico supported by four large white colored columns rising to the pediment at the roof line. 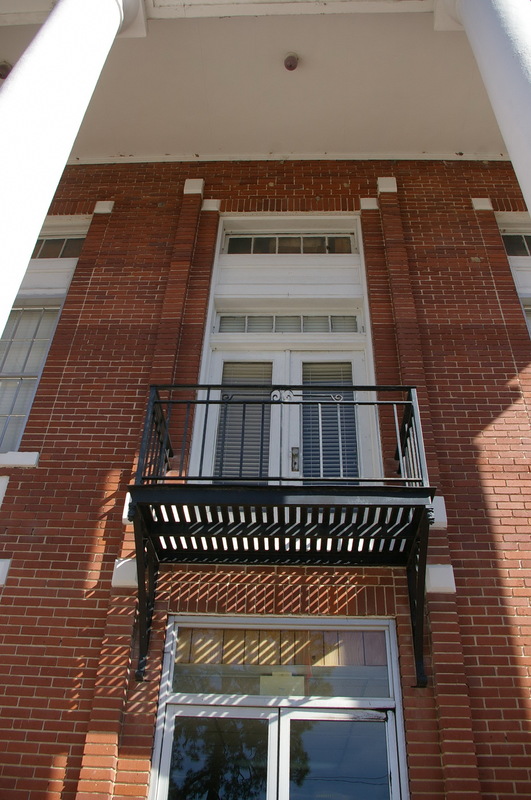 On the second story is a wrought iron balcony above the entrance. 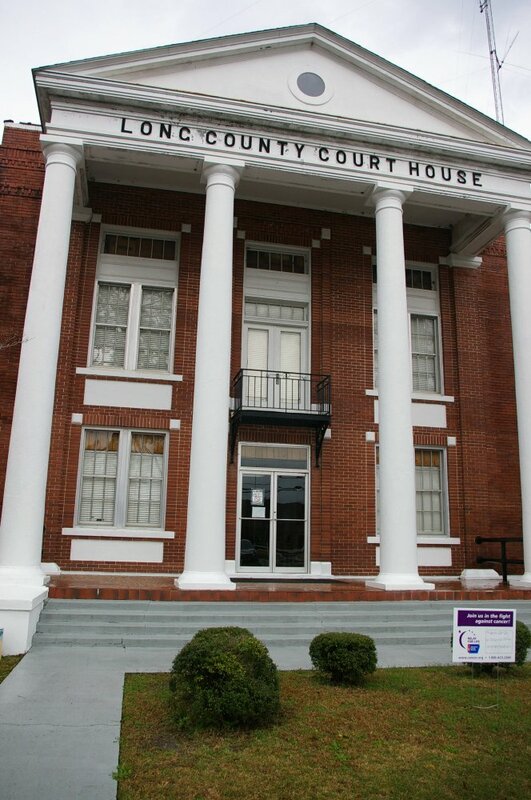 There are white panels between the first and second story windows. The building was renovated in 1974.